This plush leprechaun doll would make an ideal St. Patrick's Day decoration. 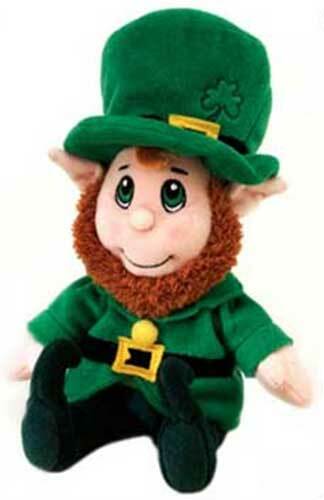 This leprechaun doll has a red beard and a top hat that is enhanced with an embroidered shamrock. The 15" tall stuffed leprechaun is further enhanced pointed ears and a green jacket. This plush leprechaun may be positioned sitting and it is complete with a shamrock history card, complements of The Irish Gift House.